Palm, Inc. releases the Palm Pre smartphone through Sprint in an attempt to regain marketshare, after their Treo line of smartphones is dwarfed by Apple’s iPhone. 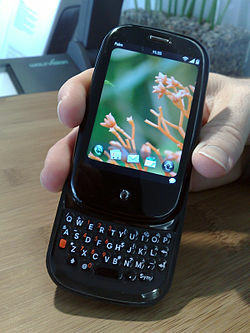 Featuring the Linux-based Palm webOS operating system, the Pre receives some praise from technical reviewers, but due to poor marketing and the rapid pace in which Apple dominates the New World of smartphones, Palm’s series of phones and the webOS never really have a chance to gain a foothold. Within the course of one year, Palm is purchased by HP for $1.2 billion. One year later, after just 2 months of abysmal sales of their TouchPad tablets, HP halts production of all webOS-based devices. HP has announced they will release the source code for webOS under an open-source license, but the future of this once-promising mobile operating system looks bleak.